Business Technologies from Praeses. We solve business challenges. Regularly evaluating business processes uncovers areas of opportunity. Our team can help you discover inefficiencies and understand how applying technology can reduce time to market, lower costs, or differentiate you in the minds of your customers. We incorporate philosophies and problem solving frameworks such as Lean, Six Sigma, and Theory of Constraints to improve process performance. The days are over for developing enterprise systems behind closed doors only to discover that they do not meet customer requirements until after they are delivered. Praeses embraces the agile software development methodology, delivering incremental, functional software that incorporates customer feedback throughout the process to ensure our systems meet or exceed expectations. Mobile applications must be more than a pretty icon and a positive user experience; they should integrate with your company’s back-end enterprise systems to deliver value to the enterprise as well as the customer. Our development team engineers cross-platform solutions for iOS, Android, and Windows that link to your financial, inventory, and production systems. A broad range of industries rely on information systems developed decades ago, and updating these legacy systems is becoming a priority. Complicating this challenge, over time, systems have been added, creating enterprise ecosystems not originally intended to work with one another. We help customers not only identify and choose processes and systems to replace, but also write the software to support the changes. Praeses Business Technologies offers application, information, and mobility integration services to make your business more agile – boosting productivity and enabling better decision-making. Moreover, using proven methods, we offer services to make the entire process more inclusive and effective for your organization. With our experienced and knowledgeable technology professionals, Praeses Business Technologies offers our customers solutions that are not only beneficial to their business, but are customized for their business. Business Technologies serves customers across all industry sectors. Visit Our Work to learn about how we have helped organizations in Financial Services, Manufacturing, Shipbuilding, Energy, State & Local Governments, Law Enforcement, Healthcare, Media, and many other industries. 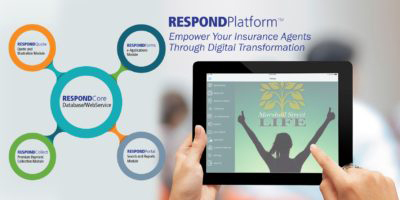 RESPONDPlatform is a mobile software application for tablets supporting life insurance companies’ new client acquisition, data capture, underwriting and collections. The RESPOND-Platform will increase your sales team’s efficiency, speed up the application lifecycle, eliminate applications not in good order, improve handoffs between sales and underwriting, allows managers to more effectively monitor teams, and help improve collections. 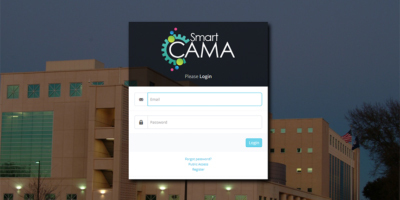 SmartCAMA combines assessment administration, Computer Assisted Mass Appraisal (CAMA), Document Management, and Geographic Information System (GIS) data into one seamless, cloud-hosted product. Flexible reporting options that include state tax commission-compliant reports provide real-time decision and operational support. With all data captured, recorded and stored within SmartCAMA, an audit trail is created so that the assessor’s office can easily and accurately recreate and illustrate the assessment calculation. 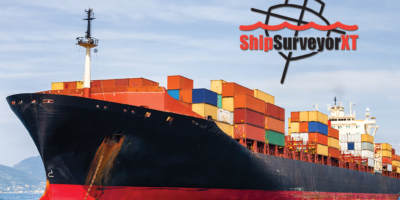 ShipSurveyorXT is a mobile application that modernizes and automates the deadweight survey process through digital transformation. It multiplies the benefit to both shipyards and customers by eliminating inefficient paper-based methods. ShipSurveyorXT supports a wide variety of programs and activities and captures the data in a way that makes it useful to downstream processes. 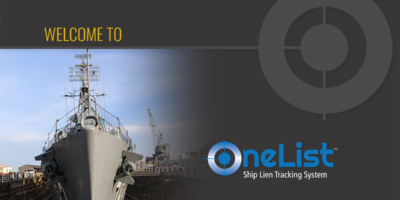 OneList provides mobile and web enabled interfaces for real-time deckplate access to ticket data. Quickly enter, view, and close internal tickets — where and when you need it most — saving time and money. OneList allows for improved management of both TSME tickets and internal tickets displayed in one common list, combined with streamlined workflow, and near real-time access. 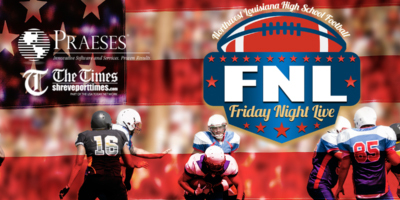 Friday Night Live (FNL) is the popular mobile app covering high school football. FNL uses Twitter to capture and display live updates from games across the region, provides live scores for any number of teams, allows fans to participate in weekly fantasy football matchups, tracks scores and records for local schools through individual team pages, and allows fans to vote for the Player of the Week. In addition to an unrivaled fan experience, FNL delivers value to its sponsor by providing ample space, view, and click opportunities for advertisers without deteriorating the user experience. Ready to learn more about how we can bring value to your business? Call to speak with one of our experts! “We had a need to better manage our oil and gas leases. We asked Praeses Business Technologies for a solution. With their help, we now have our DMS which allows our staff to better manage the leases they are responsible for.